Khalil Shaheed and company set up shop in Jack London Square. There is certainly no shortage of shuttered storefronts in Oakland, but as of July 1, the city will be able to boast one less boarded-up building and one more desperately needed community arts center. The former Tony Roma's restaurant, the spacious spot at 55 Washington in Jack London Square has been granted by the Port of Oakland to local jazz trumpeter Khalil Shaheed to house Oaktown Jazz Workshops (OJW), the musical education project he has helmed for the past seventeen years. Both Port Director Omar Benjamin and Mayor Jean Quan strongly encouraged the move. Now with a permanent place of residence, OJW can expand into summer programming and performances as well as practice sessions without the interruptions typical of after-school hours at the Dimond Recreation Center or Malonga Casquelourd Center for the Arts. Shaheed will also be able to safely store the jazz library, pianos, bass amps, and countless other instruments and equipment OJW has acquired over the years. The building has tentatively been titled Nadine's. The performance stage remains under construction. Until now, the public centers have sufficed but have tended to limit OJW'S meetings to twice weekly. Anywhere from two to twenty young musicians come to practice with Shaheed in the evenings, jamming and studying, practicing and even recording (the group's third album is in the works for this summer). Kids usually come to OJW after they have begun learning an instrument in school and are ready for a more intensive way to practice and improve. "We know it's important to nurture passionate young musicians," Shaheed said, "and I think that practicing with full-time musicians makes it real for them." Among the list of full-timers are OJW director of education and stand-up bassist Ravi Abcarian and drummer Jack Dorsey. "The workshops make learning very accessible and jazz definitely helps to keep learning playful, too." Whatever the workshops do, it is obviously working. So says Oakland City Councilwoman and long-time OJW supporter Desley Brooks. "When you see Khalil's students perform, it's not as though you're watching a bunch of young people at a recital — you're watching professionals," Brooks said. "Not everyone is a performer, but Oaktown gives kids real confidence and presence so that they can play with anyone and really pursue their passion." What's good for the kids may be good for Oakland. Councilwoman Rebecca Kaplan, eager to create a safe, fun environment downtown, pointed out how convenient it will be for students to hop on the free B shuttle on Broadway to get to Jack London Square. And if that doesn't lure them, there's always the Ben & Jerry's next door. At a recent OJW session, thirteen-year-old flautist Maureen Sides explained how the four years that she has been studying with Shaheed and Abcarian are the reason she can understand music theory and jazz music as a whole. Now she regularly listens to KCSM 91.1 and eagerly accompanied her parents to a jazz festival last month. "The workshops help so much because there are lots of older kids around and everyone is teaching each other." Sides said. "If I don't get something right away I feel really comfortable asking for help." When students head home from OJW, they have practice exercises and jazz reports. Both Shaheed and Abcarian emphasize the importance of jazz history for their students. "We ask them for written reports that they share with the group," Abcarian explained, "and they come back excited. They seem to like it, which is weird!" Sides said she also gets to meet and play with Oaktown alumni like Ambrose Akinmusire and Kaz George from time to time, which is a bonus. Akinmusire, who released an album on New York's Blue Note label this year, plans to teach and be involved in the development department of OJW when he returns to Oakland. In light of all the effort put into OJW, Khalil is overjoyed about the new building. "Seventeen years!" he joked. "It's about time!" He also said that it was "just the right time for such a generous gesture from the city to the arts community, considering the current political and economic climate of cutbacks and all that." 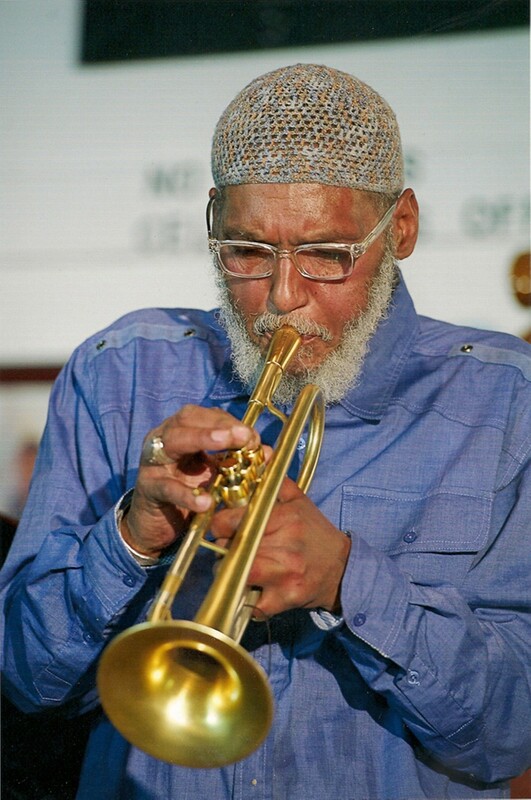 Shaheed has been living and breathing jazz music since the Sixties, playing and performing with legends like Buddy Miles and Taj Mahal. His career and his cucumber-cool disposition blur the line between work and play just as much as the workshops do for his students. To blur that line even further, there's an additional perk to accompany the new location — after-hours jam sessions. Kids just want a place to play. It's as simple as that.